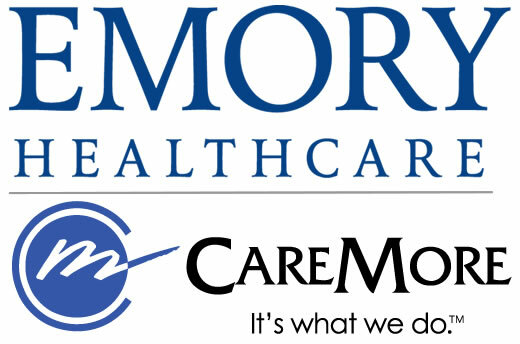 Under the agreement, the Emory Healthcare Network, comprised of 1,800 physicians, six hospitals and 200 care locations, will continue to provide health care services to patients of many different Medicare Advantage plans, with the addition of CareMore-like comprehensive care centers, providing CareMore's hallmark care coordination. CareMore Health System, a wholly owned subsidiary of WellPoint Inc., is pleased to announce that it has reached an agreement with Atlanta-based Emory Healthcare to explore a collaboration that will further enhance capabilities of the Emory Healthcare Network. Specifically, the collaboration expands Emory Healthcare Network's ability to move into Medicare and manage both value-based reimbursement models and risk-based payment arrangements. Through the collaboration, CareMore's nationally recognized clinical care model will be implemented to help reduce health care costs and improve health outcomes for Emory Healthcare Network patients, beginning with the Medicare Advantage (MA) or senior population. "We are very excited to work with Emory to remodel health care services to best meet the needs of patients and the demands of emerging payment models," said Leeba Lessin, CareMore's chief executive officer. "The Emory/CareMore affiliation is filled with opportunity as we are both organizations that know and have proven that health care quality increases lead to health care cost decreases." "We have been impressed with CareMore's success in improving the health of senior members through their highly coordinated care model that leverages technology, early intervention and a personal touch," says Richard Gitomer, MD, president and chief quality officer of the Emory Healthcare Network. "CareMore has demonstrated the ability to replicate its results in different regions throughout the country. With our CareMore collaboration, we are eager to deliver those benefits to our patients, as well." CareMore currently serves nearly 70,000 seniors in California, Arizona and Nevada, often with chronic health conditions, such as congestive heart failure, diabetes, hypertension and kidney disease. In the past, CareMore has grown by building health plans from the ground up, according to Richard Zoretic, president of WellPoint's Government Business Division. "This new approach, of collaborating with outstanding providers like Emory, is particularly exciting because it augments CareMore's existing growth strategy, allowing for more widespread deployment of the model," he said. "Emory benefits from being the first provider organization in the region to partner with CareMore, making it more attractive to patients," says John Fox, president and CEO of Emory Healthcare. "Seniors with the Medicare Advantage plan will experience more interactive care and a more tailored treatment plan to reduce the possibilities of them having a major event, such as a visit to the emergency room or an invasive surgery. It's a win-win collaboration for all because we will help in improving the quality of life for our patients, while lowering health care costs." Implementation of the new care model is expected to kick off in early 2015, pending negotiation of definite agreements between CareMore and Emory Healthcare, with no disruption to Emory Healthcare Network patients' existing physician relationships. CareMore Health System, a wholly owned subsidiary of WellPoint, is the direct parent company of multiple health plans that operate under three federally approved Medicare Advantage contracts ("CareMore Health Plan subsidiaries"). The CareMore Health Plan subsidiaries serve a total of more than 70,000 Medicare members throughout Southern California, Northern California, Las Vegas, Phoenix and Tucson, Arizona. CareMore specializes in health care programs supporting Medicare beneficiaries from the healthy aging to the chronically ill and/or frail. Emory Healthcare, with more than 16,000 employees, is the largest and most comprehensive health system in Georgia. In fiscal year 2013, Emory Healthcare had $2.6 billion in annual net revenue and provided $80.3 million in charity care. It has 1,830 licensed patient beds. In 2013, University HealthSystem Consortium (UHC), a national organization comprised of most of the nation's leading academic medical centers focusing on excellence in quality and safety, ranked Emory University Hospital (combined with Emory University Orthopaedics & Spine Hospital) 2nd and Emory University Hospital Midtown 3rd in the UHC Quality Leadership Awards. This is the second year in a row that UHC has had two hospitals from one health care system (Emory) rank in the national top 10. Emory Healthcare is also the only health system in Georgia with two Magnet-designated hospitals. Emory Healthcare's core purpose: "To serve humanity by improving health through integration of education, discovery and health care." For more information, visit www.emoryhealthcare.org.